Debbie O’Grady knows what it’s like when there’s just too much to do and the day flies by way too fast. She’s kept herself busy for years working on getting her business off the ground until she finally got focused and within nine months hit six figures. In this podcast she shares tips on how to stay focused on your LNC goals. Debbie O’Grady’s clients call her the “Queen of Accountability” because she helps them do what she did for herself, which is get on track, stay focus and make more money. What’s the importance of staying focused on your LNC goals? 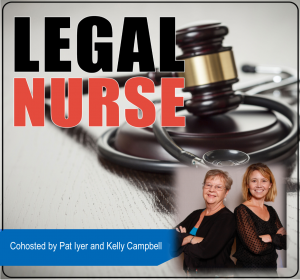 The specific marketing techniques or tasks that could be written down and then tracked to make sure that the legal nurse consultant was accomplishing those responsibilities. What is the purpose of a goal journal? Why one of the biggest challenges that we have to deal with is so many interruptions, distractions and opportunities to be taken off course. This book is for you if you are in the early stages of your business, or want to move to a higher level of success. Author Pat Iyer shows you how to set SMART goals to which you can hold yourself accountable and how to track and measure your results. Use SMART goals to stay focused on your LNC goals. Get concrete information about having a sound operating plan, build a successful LNC business, and get mastery over your finances. This book shares tips on how to organize your finances, track income and expenses using calendars, budgets, logs and accounting software. Get a 25% discount on this training by using the word Listened in the coupon box during checkout. Debbie O’Grady helps others Get on Track, Stay Focused and Make More Money!